Stay in our centrally located and big appartement in Amsterdam! 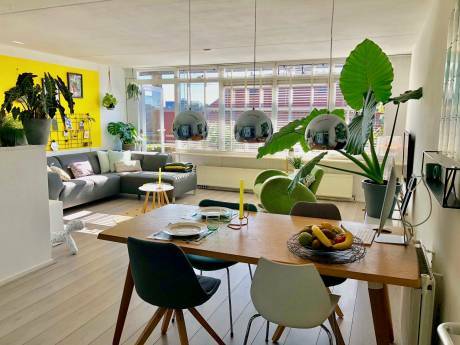 Centrally located appartament in Amsterdam. Third and fourth floor. Really light and sunny.Sleeps 6 people: 1 double bedroom, 1 with two single bed and baby bed, living room with sleeping couch. 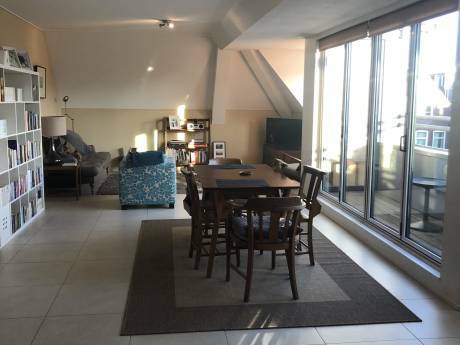 Living kitchen, 2 bathroom.Good public transport, tram and train station. 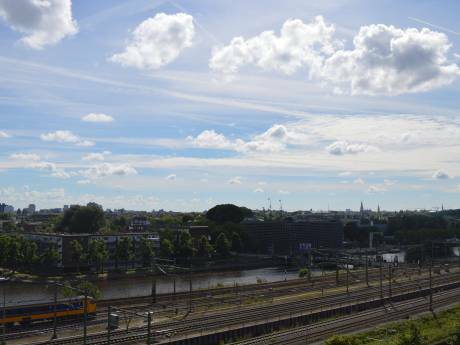 (Amsterdam Sloterdijk)15 by tram to DAM square, 10 min to Anne Frank house. Possibility of borrowing our bikes. Washing machine, dish washer wifi internet. we are a family of 4. Gaia ( dancer) Antoine (web disegner) and two doughter Sophia (7) and Lisa (2) .I' m italian, Antoine dutch. We like sunny places and see, but also to visit ancient and historical places.